Luxury sailing yacht MAGRATHEA was launched in 2009 by Oyster Marine Ltd. 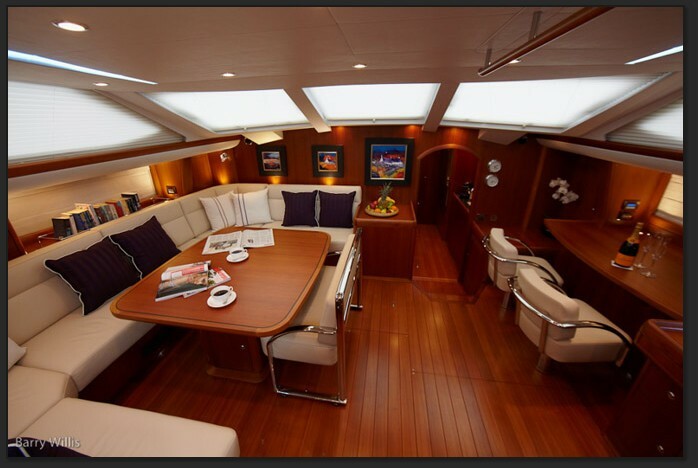 The yacht measures 22.7m (74.9ft) overall and boasts a pristine while hull with black racing lines. S/Y MAGRATHEA (named after a mythical ancient planet) is available for charter in the Caribbean during the winter and the Mediterranean in summer accommodating up to 6 guests in 3 cabins. 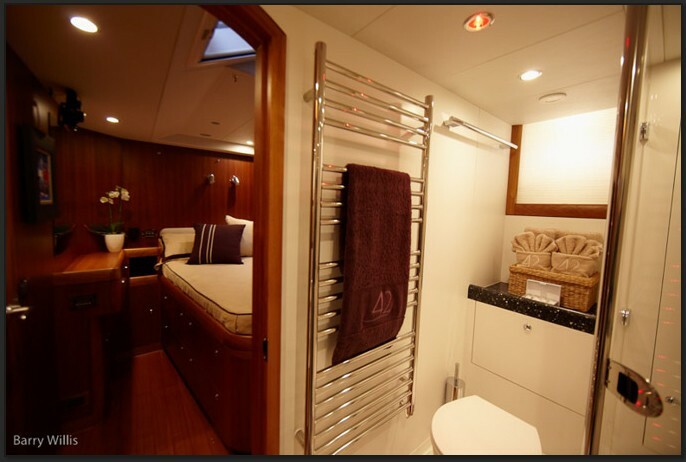 Charter yacht MAGRATHEA features a modern and inviting fully air-conditioned interior of rich teak panels and floors, with stylish ivory toned leather soft furnishings. 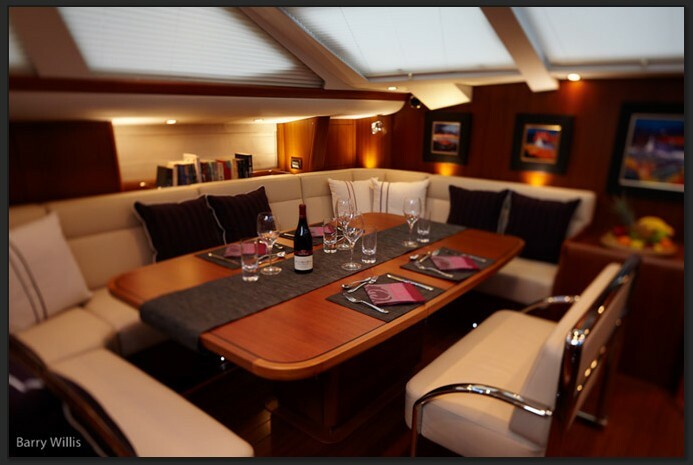 The salon is light and airy with a large U shaped sofa and formal dining space on the port side, a smaller more casual table is on the starboard. Guests can feel right at home with the state of the aft entertainment center which includes a 32’’ flat screen TV, DVD library, PS3, Wii and fabulous sound system. The MAGRATHEA sailing yacht offers ample exterior living on her fine teak decks. 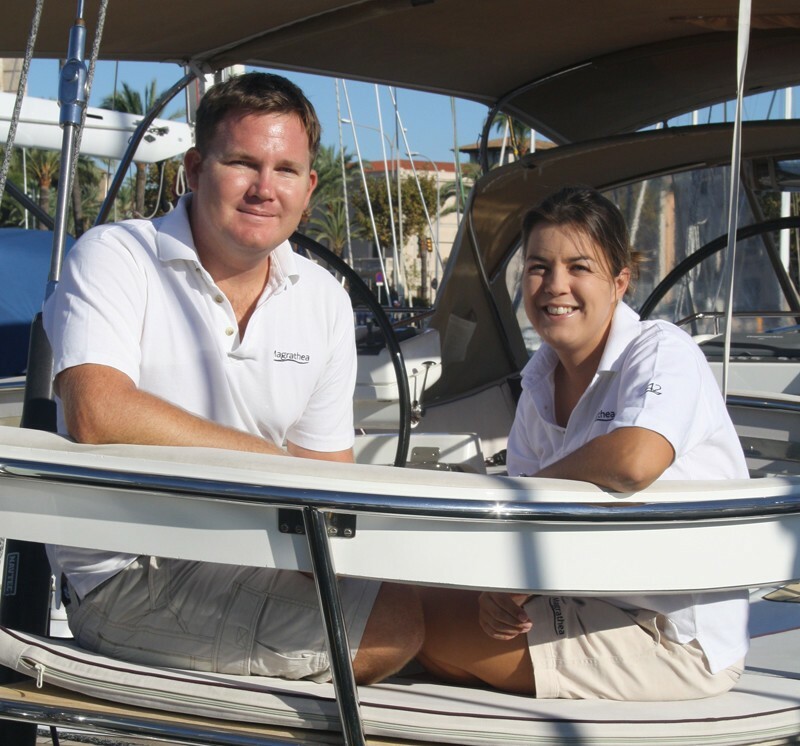 The main cockpit offers plenty of seating and an alfresco dining option with a removable Bimini, further aft, the dual helm is where all the sailing action takes place. The aft deck is open and spacious boasting built in rail seats, ideal for those wanting to watch the professional crew of 2 do their magic. While at anchor sailing yacht MAGRATHEA offers a large swim platform making water access to the water toys and 4.5m 15ft tender with 60HP engine easy. 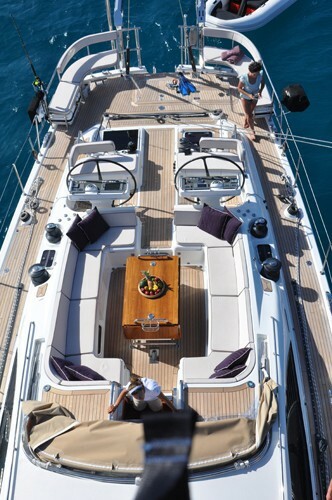 For guests who would like to simply soak up the sun, the flush foredeck is generous and offers 2 comfortable sunpads. The Oyster sail yacht MAGRATHEA has a beam of 5.8m (19.2ft) and a draft of 2.9m (9.6ft), her carbon rig has a fully battened main sail, 140% genoa and also flies an Asymmetric headsail. S/Y MAGRATHEA is capable of speeds of 9 knots. 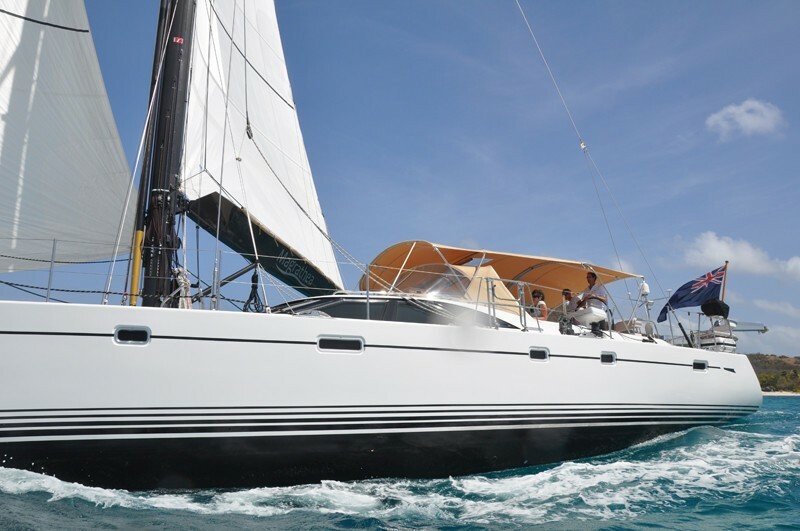 Luxury sailing yacht MAGRATHEA accommodates up to 6 guests in 3 spacious cabins. 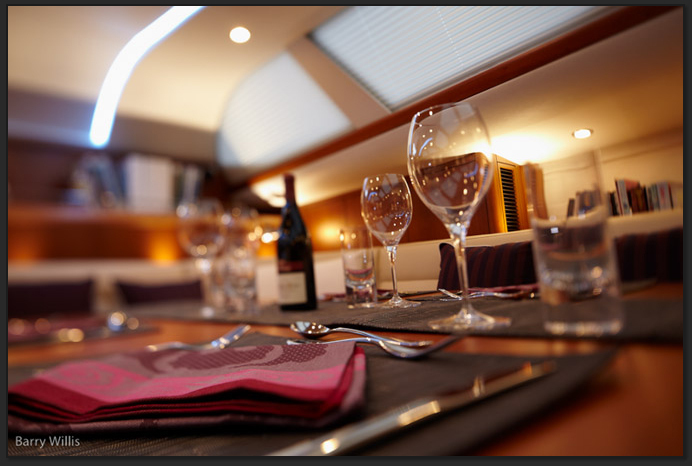 All guests’ cabins are aft of the salon and separate from the crew’s quarters and galley, ensuring optimum privacy. 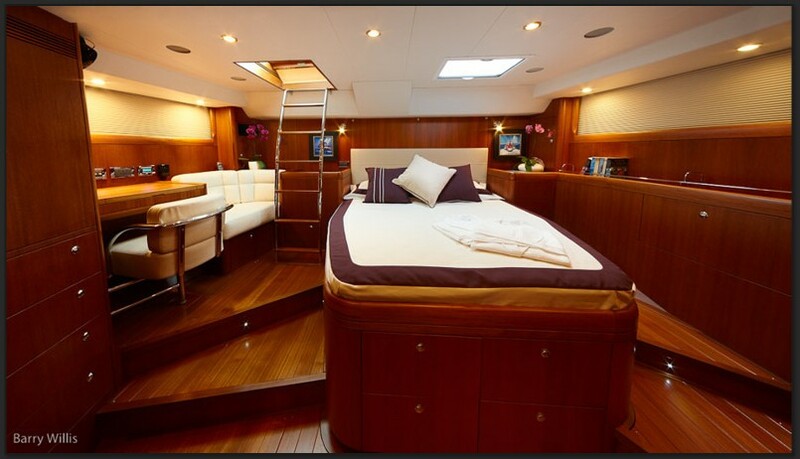 The master suite is full beam of the yacht aft, with both a hall entry and private deck entry. The cabin features a double bed, deck/vanity, love seat, 23’’ TV and entertainment system and en-suite facilities. A guest’s cabin to port has a double bed and 17’’ TV entertainment system. 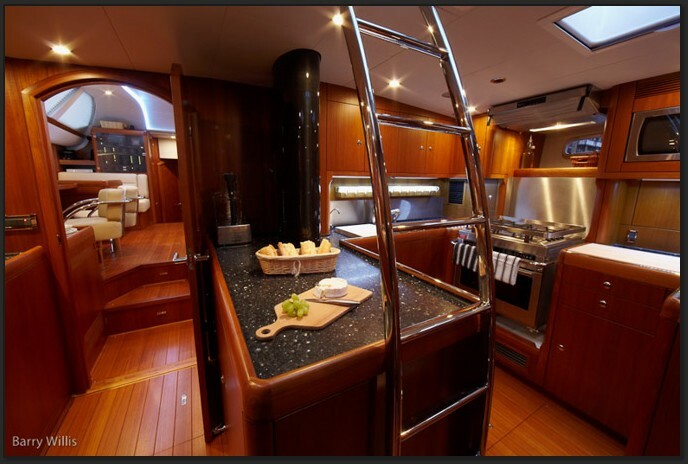 The starboard guests’ cabin has a bunk bed configuration and has shared facilities with the double cabin.